Lemon balm (Melissa officinalis) is one of my favorite garden herbs because of its amazing lemon fragrance. It's a member of the mint family and is supposed to be easy to grow (although you couldn't tell by my garden). It's also a very beneficial herb, having antibacterial, antiviral, and soothing properties. In an earlier post I talked about the reasons to grow lemon balm; in this one we'll focus on how to use it. If you live in a dry climate, you can tie the herb sprigs together at the bottom, and hang upside down to dry. In humid climates they tend to mold. Use your dehydrator on a very low setting. If you live in the South, you can put herbs in a paper bag and dry them inside a sunny vehicle. This makes your car smell really good too. Spread on a cookie sheet and pop it into the oven after you cook dinner. Turn off the heat first! Leave it in the oven overnight and your herbs will be dry by morning. To make an infused oil, add enough olive oil to cover your herb in a saucepan or slowcooker and warm gently for several hours, then strain out the plant material OR set a jar of oil and herb in a sunny, warm place for several weeks, shaking gently each day, then strain. You can make a salve using lemon balm infused oil. Warm the infused oil and add beeswax, stir to melt and combine. I use one part beeswax to two parts infused oil. Pour the oil and beeswax mixture into containers with lids and let cool. This ointment is antiviral and antibacterial; use on insect bites, rashes, cold sores, wounds and cuts. Making a tincture is easy, it's just time-consuming. Fill a jar about 1/3 full of your herb, then fill the jar the rest of the way with vodka or brandy, at least 80 proof. Top with a tight-fitting lid and shake gently each day for several weeks. Strain out the plant material using cheesecloth, then pour it into a dark glass bottle or keep in a dark cupboard. For an alcohol-free tincture, use vegetable glycerin instead of vodka. Alcohol is more efficient at extracting the herb's goodness, and the tincture will also keep longer if it is alcohol-based. Lemon balm can also be used to make lemonade, soda and tea. Lemon balm is also a very popular culinary herb with many uses. There are many recipes online using lemon balm. Remember, before using this or any herb, please research it fully. You are responsible for your own health. Salve-making is very easy, I know you'll be successful at it. :-) I'm happy to meet another lemon balm fan! I love Lemon Balm. I have a small plant I started. I am hoping it takes over a designated spot in my yard next year! I have lots of lemon balm in my yard. Thanks for sharing these uses! Thanks for sharing this! We are doing a study on Lemon Balm as part of our homeschool. Will share the recipes with the kids and we'll make one in the near future! Thank you for stopping by, Kris. I'm glad it was such good timing. Let me know if the children enjoy the project! I love lemon balm tea, a friend gave me a clipping to grow in the garden it's doing fair. Love your blog new follower via email. I would love for to share your blog on Real Food Fridays. Bonnie, there's a wonderful feeling about using salves and other products you've made yourself. I hope you'll give it a try. Thank you for stopping by. My sister got some lemon balm last year and I had never heard of it, so I did a bit of research. I found that the Amish use this to make lemonade, and that you can use crushed fresh stevia to sweeten it, if you so choose! I haven't grown lemon balm yet, but after seeing your salve recipe, I think I will have to start a plant or two next year! Thank you so much for the information! Lemon balm is a lovely plant and it smells so good! It's a bonus that it has so many uses too. I hope your sister will give you a start from her plant. Are the recipes you posted for tinctures, balms, etc using dried lemon balm or fresh? I have one small plant by my backdoor to repel flies. Becky, I use fresh lemon balm whenever possible in tinctures and infused oil. Chop it a bit first. The salve uses already-infused oil. When I have an overabundance I dry it for later use. Great ideas for how to use lemon balm! I have never grown it, but love the number of uses it has. I'd love to have you link up on Tuesday Greens on www.craftygardenmama.com if you like. Have a great week! Thank you for stopping by, Becky, and for the invitation too! 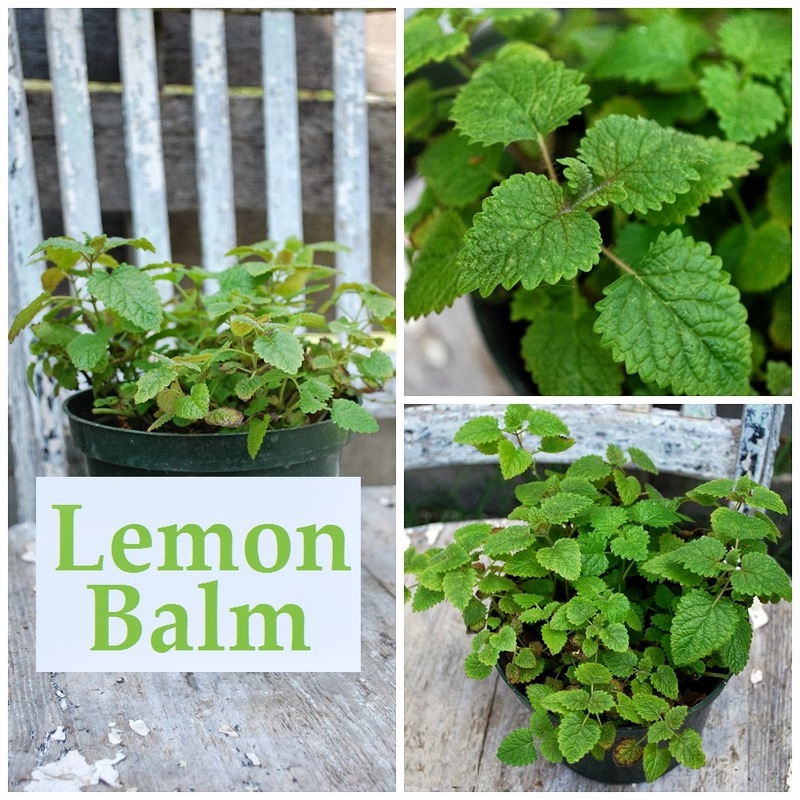 Love all your ideas for using lemon balm, it sure does spread, but that isn't a bad thing. Thank you for sharing with the Clever Chicks Blog Hop! I hope you’ll join us again next week! Hi Kelly. I know it's supposed to be easy to grow, but I've not had any success growing lemon balm in the ground, only in pots. I hope you'll be able to get your new gardens in shape soon. I have so much lemon balm, I do not know where to start. It grows and grows and grows. I love the scent and the finches love its seeds in the late summer but I confess that I never know what to do with it. Pinning your post so I can refer back next spring! Green Bean, my lemon balm has never gone to seed; I guess I've always cut it back often enough to prevent that. I love finches, I might have to let it bloom once so I can attract birds. I love salves and tinctures! I've never tried making any with lemon balm. I might have to give that a try this year. :) Thanks for sharing on the Homesteader Hop. Interesting tip about putting it in your car to dry it! I'll have to try that. Thanks for sharing on the #WasteLessWednesday Blog Hop! I'll have to give this one a try when spring comes! I hope you can find some, it smells SO good, Helene. I love my lemon balm, and yes, it does spread ferociously, if allowed to go go seed. If your winters are too cold, it will not overwinter, but ours are mild and it only dies BACK, but does not die OFF. It springs back every year here, in zone 8. I prefer to store excess lemon balm frozen, as the lemon essence is too fragile to be strong enough for me, once it dries. You can chop and mix with water, then freeze in ice cube trays. Then bag the cubes for long storage. My favorite use for it is in cake and frosting, substituting for real lemons. I haven't tried to overwinter it, Katharine. We're in Zone 7, so hopefully it will survive for me too. I love the idea of freezing it, I'll do that from now on, thank you! I love lemon balm! It seems to be one of the few things I can't kill. It often, but not always, winters over for me in Texas. Thanks for all the great information! It's a great all-around plant, isn't it, Anne?